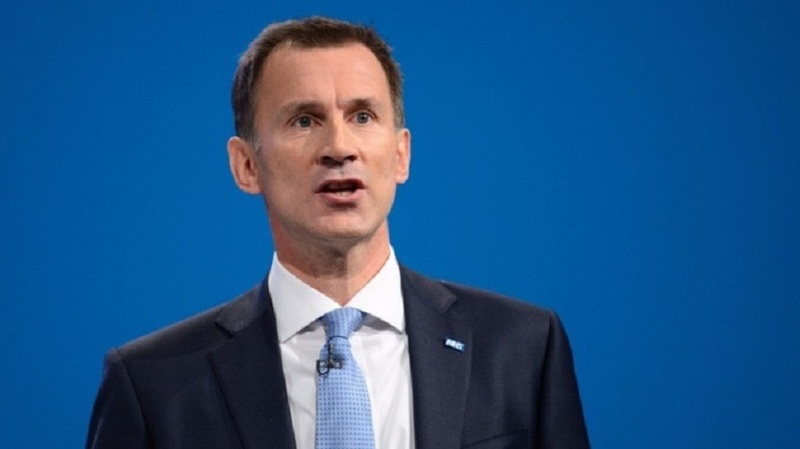 Foreign Secretary Jeremy Hunt. Photo–Flickr. A Ugandan Member of Parliament has called on the country’s dictator of 32 years to order his army to halt deadly illegal evictions of rural farmers, while also praising a call by a British lawmaker for action by the U.K.’s Foreign Secretary Jeremy Hunt. Britain provides Uganda with more than $100 million in annual foreign aid assistance. 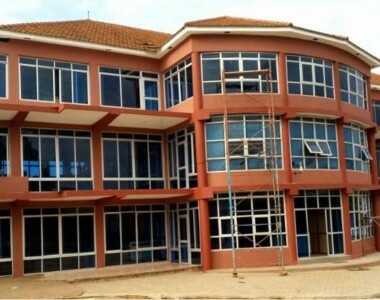 Since July 11 more than 340 villagers — including 34 children– from a lush fertile area known as Apaa, in the northern part of Uganda, have been holed up in the compound of the field offices of the United Nations High Commissioner for Human Rights (OHCHR) in the city of Gulu. They were granted temporary sanctuary after they fled violent attacks from Uganda’s military, the police, and armed Wildlife Authority agents. An estimated 800 homes have been torched, properties stolen, and crops destroyed in the concerted human rights abuses amounting to ethnic cleansing. The ongoing attacks by the regime, in defiance of a 2012 High Court order staying all evictions, have already killed at least a dozen people. Scores are missing and many others have been injured. The area in Apaa is about 25 square miles and the regime has been trying to oust 15,000 people, literally turning them homeless and destitute. Land-grabbing by the political and military elite, who forcefully evict powerless people from their land and then lease them off to rich foreign individuals or corporations is a widespread if underreported crises in Africa. Critics have described the onslaught as the “new Scramble for Africa” where corrupt regimes in league with foreign interests, act like some of the African leaders who did not defend their sovereignty during the 19th century imperial conquest. Uganda under Gen. Yoweri Museveni, is a prime example today. “I do appreciate Dr. Paul William so much for asking specific and meaningful questions to the minister. It will open the eyes of many people who may not be aware about what is happening in Uganda. I thank him for that,” Gilbert Olanya, a Ugandan MP whose constituency, Kilak South, includes the area of the violent land-grab, said. “The soldiers should be withdrawn from Apaa and people go back to their homes,” he added. Locals believe the Ugandan regime wants to lease the land to foreign commercial farmers and to a South African who wants to build hunting preserves. “Let the government stop the idea of giving people’s land to the South African investor called Bruce Martin,” Olanya said, referring to the South African allegedly trying to acquire the land. Since last week the crises gained more global coverage and the Office of the outgoing High Commissioner finally broke its silence and commented amid emerging reports of fears of the cholera outbreak as a result of overflowing outside latrines, and shortage of food and medication. The Geneva offices of the OHCHR in a statement said officials were working with representatives of the Apaa refugees and the regime to resolve the matter. 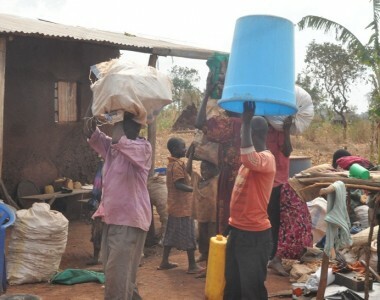 The refugees have said the fear being killed by the military should they return to Apaa. 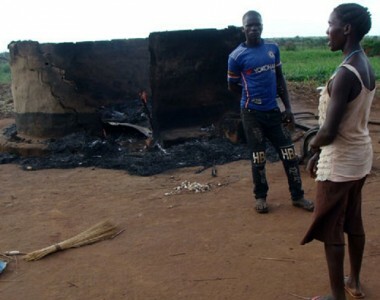 Critics accuse the Museveni regime of arming civilians in adjoining areas inhabited by ethnic Madis and promoting violence between them and Acholis who live on the land in Apaa eyed by the regime. A Ugandan deputy prime minister, Gen. Moses Ali — who was once as senior official under Gen. Idi Amin– has taken the lead in promoting the conflict, according to local media reports. 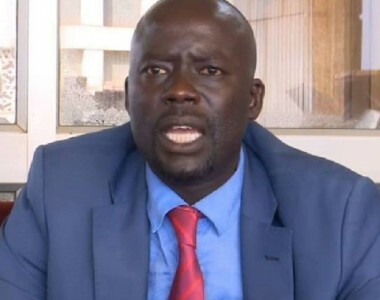 “The problem in Apaa is the issue between Acholi and the government of Uganda not between Madi and Acholi as some people are saying,” Olanya added, calling for action against those behind the violence. Olanya said another disaster was looming since the people who fled to safety in the U.N.’s premises aren’t able to now tend to their farms.